Changes in the world have rendered the old transactional sales model obsolete. 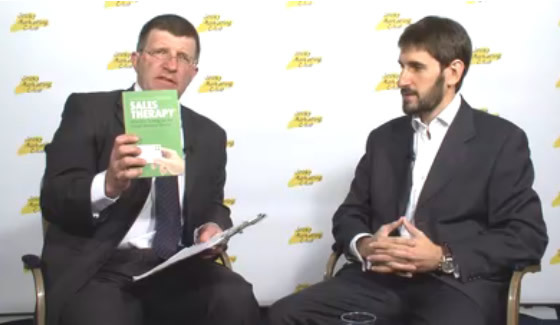 Sales Therapy presents the new one. I first heard Grant speak at a networking event and was struck by the eminent common sense of what he had to say. This book clearly and simply explains why all the conventional sales approaches are doomed to failure and are quite unsuitable for today’s environment. If you run your own business and focus on relationships, integrity, quality and doing the best for your customer, Grant’s approach will resonate fully with you. It builds upon those foundations and provides you with the insights and tools to improve your effectiveness and grow your business. This is way everyone will be approaching sales in the future, so get ahead of the game now. I’m not the fastest of readers, but at around 200 pages, I started and finished in the same day. It was a refreshing read and made so much sense. With the use of problem maps to understand the buyers motivations, Grant’s sales philosophy encourages the small business to focus on the customer and win clients by caring – not by selling. I whole heartedly agree with Grant’s approach. This is a refreshing and inspirational insight into the way we peddle our products and services. As a 56 year old I grew up with the concept of ‘selling’ as a kind of gladiatorial interaction where the seller must win at all costs. A successful salesperson was judged by the number a victories. The old idea that you can sell snow to eskimos is given a complete makeover…after all what is the point of selling snow to eskimos unless all you are hoping to achieve is another conquest…a pointless exercise. The heart of this book is about the notion of building relationships upon which to create a successful and lasting relationship with our clients. What came across most strongly was that if we apply the same standards in business as we do in our personal relationships, we have nothing to fear. After all, how many of us would choose to go on holiday with somebody we had only known for five minutes. How many of our potential customers are going to sign on the dotted line in a similar fashion. This is a must read for any small business person. Sales need not be a feared process but one that can be enjoyable and fulfilling. Fantastic book. Selling as most people know it doesn’t work anymore. In a business world driven by relationships and reputation, it’s like trying to force a square peg into a round hole. Small business owners instinctively know that it’s relationships that count. The challenge is how to put the relationship first and still get results. Sales Therapy is the answer to that dilemma. It’s an approach that will enable you to win customers by caring. The Sales Therapy model means your focus is on the customer, not you, the relationship comes first, not the transaction, you can concentrate on the sales process, not the result, you fulfill your customer’s goals and you don’t make sales, you help people buy. It’s time to commit those terrible ‘closing techniques’ to the recycle bin. When you’re selling your business’ products or services, you don’t have to have all the answers. You’re there to ask the questions. 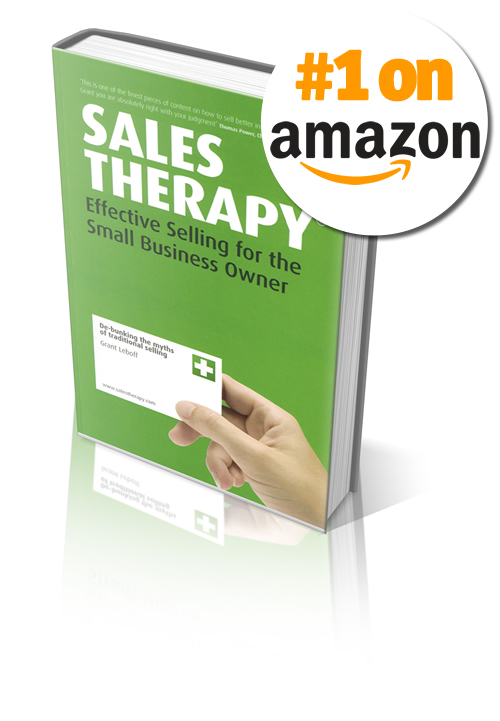 Sales Therapy shows you exactly what you need to do.